This bibliography is a deliberately short, selective list of representative works about the Book of Mormon, both pro and con. The focus of this bibliography is on issues pertaining to the Book of Mormon’s authenticity or historicity, and for that reason the works listed here are generally academic or engage academic Book of Mormon scholarship in some fashion. Gardner, Brant A. The Gift and Power: Translating the Book of Mormon. Salt Lake City: Greg Kofford Books, 2011. LDS anthropologist’s sophisticated, somewhat non-traditional approach to understanding Joseph Smith as translator. __________. Second Witness: Analytical and Contextual Commentary on the Book of Mormon. 6 vols. Salt Lake City: Greg Kofford Books, 2007. Impressive, sophisticated commentary, defending a somewhat non-traditional yet still faithful LDS understanding of the Book of Mormon, emphasizing an ancient Mesoamerican context. By far the best effort to date. Givens, Terryl L. The Book of Mormon: A Very Short Introduction. Oxford and New York: Oxford University Press, 2009. __________. By the Hand of Mormon: The American Scripture that Launched a New World Religion. Oxford and New York: Oxford University Press, 2002. Hardy, Grant. Understanding the Book of Mormon: A Reader’s Guide. Oxford and New York: Oxford University Press, 2010. Ludlow, Daniel H., ed. 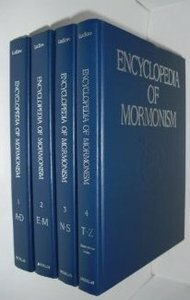 Encyclopedia of Mormonism. 4 vols. New York: Macmillan, 1992. Nibley, Hugh W. An Approach to the Book of Mormon. Collected Works of Hugh Nibley 6. Salt Lake City: Deseret; Provo, UT: FARMS, 1988. __________. Lehi in the Desert/The World of the Jaredites/There Were Jaredites. Collected Works of Hugh Nibley 5. Salt Lake City: Deseret; Provo, UT: FARMS, 1988. Parry, Donald W., Daniel C. Peterson, and John W. Welch, eds. Echoes and Evidences of the Book of Mormon. Provo, UT: FARMS—BYU, 2002. Parry, Donald W., and John W. Welch, eds. Isaiah in the Book of Mormon. Provo, UT: FARMS, 1998. Reynolds, Noel B., ed. Book of Mormon Authorship: New Light on Ancient Origins. Religious Studies Monograph Series. Provo, UT: Religious Studies Center, BYU, 1982. FARMS Reprint Series. Provo, UT: FARMS, 1995. __________. Book of Mormon Authorship Revisited: The Evidence for Ancient Origins. Provo, UT: FARMS, 1997. Roberts, B. H. Studies of the Book of Mormon, edited by Brigham D. Madsen. 2nd ed. with a new Afterword, edited and with an introduction by Brigham D. Madsen. Salt Lake City: Signature Books, 1992. Esteemed LDS scholar of the early twentieth century raised numerous questions about the Book of Mormon, including its possible dependence on such works as View of the Hebrews, that have continued to be controversial. Sorenson, John L. An Ancient American Setting for the Book of Mormon. Salt Lake City: Deseret/FARMS, 1985. The book that persuaded most Mormon scholars that the Jaredite and Nephite civilizations described in the Book of Mormon were subgroups living among predominantly non-Israelite peoples in ancient Mesoamerica (what today is southern Mexico and Guatemala). Sorenson, John L. Mormon’s Codex: An Ancient American Book. Neal A. Maxwell Institute for Religious Scholarship. Salt Lake City: Deseret, 2013. Sorenson, John L., and Melvin J. Thorne, eds. Rediscovering the Book of Mormon. Salt Lake City: Deseret; Provo, UT: FARMS, 1991. Welch, John W. “Criteria for Identifying and Evaluating the Presence of Chiasmus.” Journal of Book of Mormon Studies 4, 2 (Fall 1995): 1–14. __________. Illuminating the Sermon at the Temple and Sermon on the Mount: An Approach to III Nephi 11-18 and Matthew 5-7. Provo, UT: FARMS, 1999. A defense of the historicity of the Sermon and an argument for correlating it with LDS temple religion. Welch, John W., and J. Gregory Welch. Charting the Book of Mormon: Visual Aids for Personal Study and Teaching. Provo, UT: FARMS—BYU, 1999. Bowman, Robert M. Jr. “The Sermon at the Temple in the Book of Mormon: A Critical Examination of Its Authenticity through a Comparison with the Sermon on the Mount in the Gospel of Matthew.” Ph.D. diss. South Africa Theological Seminary, 2014. Brodie, Fawn M. No Man Knows My History: The Life of Joseph Smith the Mormon Prophet. 2nd ed., rev. and enlarged. New York: Knopf, 1986. Originally published in 1945. Cowdrey, Wayne L., Howard A. Davis, and Arthur Vanick. Who Really Wrote the Book of Mormon? The Spalding Enigma. Saint Louis: Concordia Publishing House, 2005. Much longer and more impressively argued version of a 1977 book with the same main title, arguing that the Book of Mormon was largely plagiarized from a lost novel by Solomon Spalding. Metcalfe, Brent Lee, ed. New Approaches to the Book of Mormon: Explorations in Critical Methodology. Salt Lake City: Signature Books, 1993. Beckwith, Francis J., Carl Mosser, and Paul Owen, eds. The New Mormon Challenge: Responding to the Latest Defenses of a Fast Growing Movement. Grand Rapids: Zondervan, 2002. Evangelical; includes two essays on the Book of Mormon. Palmer, Grant H. An Insider’s View of Mormon Origins. Salt Lake City: Signature Books, 2002. Critical study by former LDS Institute and seminary teacher. Persuitte, David. Joseph Smith and the Origins of the Book of Mormon. 2nd ed. Jefferson, NC: McFarland, 2000. Quinn, D. Michael. Early Mormonism and the Magic World View. Rev. and enlarged ed. Salt Lake City: Signature Books, 1998. Orig. 1986. Southerton, Simon G. Losing a Lost Tribe: Native Americans, DNA, and the Mormon Church. Salt Lake City: Signature Books, 2004. Vogel, Dan, and Brent Lee Metcalfe, eds. American Apocrypha: Essays on the Book of Mormon. Salt Lake City: Signature Books, 2002.